Contracting is a viable option for many transit systems, but is not a panacea. Reflecting the international trend toward privatizing government services, many scholars and elected officials favor contracting out public transit services. During the 1980s many states and the federal government implemented policies that explicitly favored private-sector participation in the provision of transit service. Proponents continue to argue that contracting will bring dramatic cost savings and improved service and have recently convinced many transit agencies to switch to contracted service. It is difficult to know precisely how many services are contracted nationwide, but we estimate that between 1989 and 1993 the number of US agencies that contracted out their fixed-route motorbus services increased by about 27 percent. By 1993 contracted bus service made up about 6 percent of all fixed-route revenue hours. Opponents claim that contracting is simply a union-busting tactic with minimal net savings because the public sector still pays the bill for increased administrative and management costs, while receiving lower-quality service. In presenting their cases, both sides often dispute basic data, making it difficult to assess the efficiency of contracted transit service. 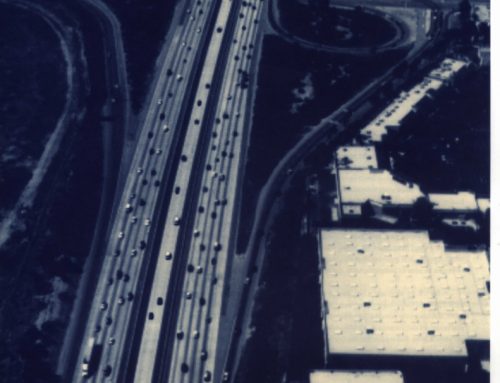 When the Los Angeles County Transportation Commission analyzed the effects of contracted bus services in the suburban Foothill Transit Zone in the late 1980s, they claimed savings in operating costs of 48 percent. But the Southern California Rapid Transit District, the regional operator that formerly operated the services, hired another consultant who reported no significant savings at all. A third report by an independent evaluator concluded that both were wrong, and that actual savings ranged from 24 to 34 percent. The Federal Transit Administration estimated that service contracting can produce operating-cost savings, per revenue-vehicle-hour of transit service, of between 25 and 30 percent. A Denver study found savings from contracting ranged between 15 and 30 percent; and a study in Yolo County, California, showed savings to be about 35 percent. But Eliott Sclar of Columbia University, a vocal critic of transit contracting, claims that these figures are grossly overstated. He cites examples from Denver, New Orleans, New Jersey, and Westchester County, New York, in which contracted services are found to be more expensive than publicly operated ones. Proponents of contracting often claim that public agencies cannot operate efficiently and generate higher costs because of wasteful bureaucracy, bungling, and fraud. Research clearly shows, however, that the vast majority of savings from contracting transit service results from reduced labor expenses. 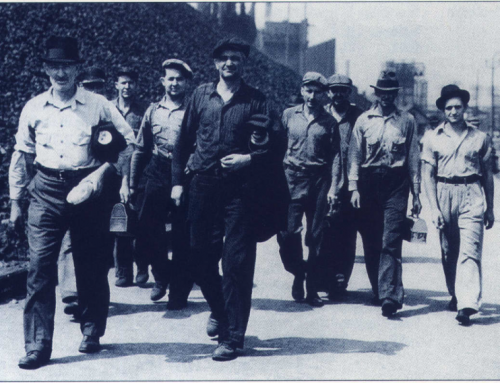 Private contractors pay their workers lower wages and fewer fringe benefits, and they are less often bound by restrictive work rules. Every private contractor who bid to operate IA’s Foothill Transit service proposed bus-driver wages well below $10 per hour, while the Southern California Rapid Transit District, the former governmental operator, paid drivers $14.69 per hour. 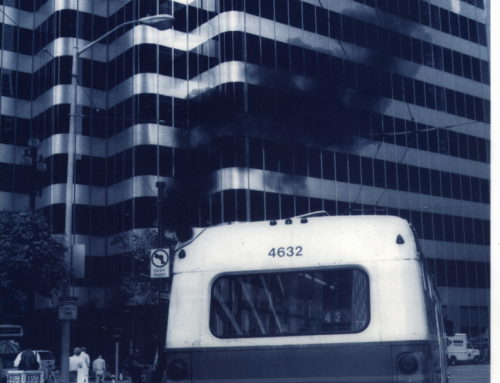 When the Bay Area Rapid Transit District accepted bids on feeder bus service to their train stations in 1989, every private bid had wage rates below $9.10 per hour, while the sole public competitor, AC Transit, submitted a proposed wage rate of $11.01 per hour. Similar patterns have been reported in studies of Houston, Denver, and San Diego. Further, union contracts usually require public transit agencies to pay overtime penalties when drivers work “split shifts” – driving during morning and afternoon rush hours with a break between. To avoid these costs, private transit companies tend to increase the proportion of part-time drivers who work during only one peak period per day. Government transit agencies don’t have this option because their labor agreements usually limit the proportion of employees who can be part-timers. We tried to make sense of the divergent data and to perform our own statistical analyses to determine the costs and benefits of contracting transit services. The vast majority of previous studies looked at single cases and compared small, single-mode contracted service providers with large regional operations with extensive service responsibilities and political obligations. In contrast, we examined a national sample of 142 bus transit services, including some operators with fewer than 25 buses and others with more than 1,000. Some operators in our study contracted out all service, others contracted-out none, and many contracted for part of their service while directly operating the rest. Most previous studies compared transit-service costs in a single year, but we examined trends over a five-year period. Contrary to expectations, we found the lowest operating costs per hour of bus service among those that did no contracting at all, and the highest rates among those that contracted out some of their services. Those that contracted out all their services had intermediate values (See Figure 1). 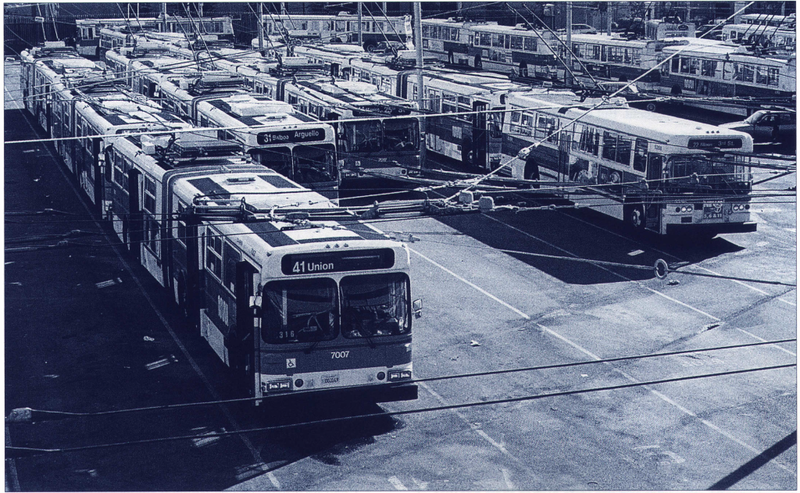 The 87 transit operators that did no contracting had average hourly costs in 1993 of $45. 7 4 per hour; the 29 operators that contracted-out all of their services had average hourly costs of $47.71; the 25 operators that contracted out some but not all of their services experienced hourly bus operating costs averaging $66.84. Apparently, contracted transit service is not always cheaper than directly operated services, and there is no clear-cut general rule on when contracting will work. In all likelihood, agencies that choose to contract for some of their services do so precisely because they are located in high-cost areas and have an incentive to try new ways to reduce costs. They may experience cost savings through contracting even though their hourly rates are highest among the three groups. Similarly, agencies that don’t contract for any of their services may have no reason to consider contracting because they happen to be in lower-cost service areas. Interestingly, between 1989 and 1993, agencies that did no contracting experienced cost increases of 14.6 percent, while agencies that contracted for all of their services experienced increases of 9.5 percent. Those contracting out some but not all their service experienced cost increases of only 3.5 percent during the same period. In other words, the highest rate of increase in costs occurred in the group with the lowest hourly-service cost, while the lowest increase occurred in the group with the highest service cost. It appears, then, that contracting helped slow the rate of increase in high-cost areas. 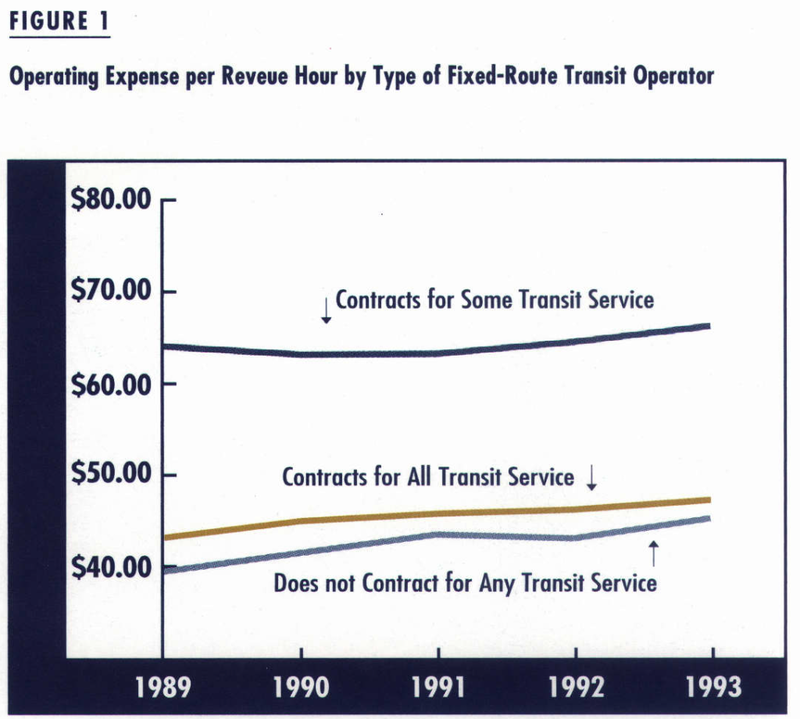 However, between 1991 and 1993, costs for contracted services rose faster than costs for non-contract operators. Our research thus suggests that most of the improvements in cost efficiency occurred soon after services were contracted, and that in time these gains began to slow down. We further tested the effects on hourly bus operating costs of fourteen factors that we hypothesized may contribute to cost differences among transit companies across the US. Besides the extent of contracting, we studied various relevant characteristics of transit companies and their service areas. We looked at population density because higher density may be more favorable to efficient transit than lower densities. We examined cost of living differences between different regions to account for wage differences and other operating expenses. We included fleet size because larger fleets are reported to have higher operating costs than smaller ones. We considered measures of snowfall and precipitation because it probably costs more to run buses in communities with severe weather than in milder climates. We studied local traffic congestion because slow vehicle speeds produce high labor costs per mile of transit service. Our findings shocked us. Transit contracting, a much-hyped public policy issue in recent years, had far less influence on transit operating costs than we expected. In fact, the presence or absence of contracting had a smaller effect on costs than any of the thirteen other variables. By far the variable most influential to cost efficiency is the ratio of total vehicle-hours to revenue-vehicle- hours – which measures the proportion of time that a bus is actually carrying passengers when on the road. If a bus company operates a far-flung network with routes located far from the garage, buses must cover many non-service miles. This “deadheading” adds greatly to operating costs. This factor was 78 times as influential in determining the cost of transit operations as was contracting. Whether operated directly or by contractors, services that require much deadheading are much more expensive than those that do not. Another variable influential in determining the hourly cost of bus service was the ratio of drivers’ pay-hours to total bus-hours, which measures the efficiency of labor. It is important to note that drivers often get paid for hours when they are not actually driving and carrying passengers. For example, suppose a bus company wants to operate extra service during rush hours, from 6:00 to 10:00 a.m. and from 4:00 to 8:00 p.m., totaling eight revenue hours. Labor contracts with unions often require that drivers who work both rush-hour periods be paid for the six hours in between, although they are not driving during that time. Most contracts even require payment of overtime wages for work time in excess of eight consecutive hours. So a driver who works the two rush-hour periods may be paid for seventeen pay hours (6:00 a.m. to 8:00 p.m., plus time-and-a-half wages for the six hours exceeding eight consecutive hours) even though the bus is in revenue service for only eight hours. To avoid these payments, companies may wish to hire part-time drivers, but most labor contracts also restrict the number of part-time workers. Of course, we don’t mean to imply that transit contracting is insignificant. In fact, contracting, or even the threat of contracting during contract negotiations with unions, can make a big difference depending on the circumstances. For example, if a transit operator has routes that entail substantial deadheading, it may attempt to solve that problem directly: by locating garages nearer to routes, by eliminating unproductive suburban routes, or by making bus routes more efficient. Or, it may contract out some of its service. Similarly, if a transit operator ends up paying for inefficient labor, transit managers may consider new labor agreements, or they may consider contracting out services. Contracting offers one tactic for reducing costs, but it should not be considered the only solution. Contracting may also be used to quickly start or expand services. This is particularly true for public agencies that have little experience in transit operations. It is important, however, that a competitive environment be developed so that one contractor cannot monopolize transit service in a region. So, does contracting save money? It depends. Transit services operated by private contractors are not always less expensive or more efficient than services directly operated by transit agencies. At the same time, contracting for transit services is not unimportant. We found that a complex set of conditions influences transit operating costs and efficiency. Often these conditions include unfavorable operating rules, service to distant communities, and high wage rates. In some cases contracting for service may be the best way to achieve cost-effective operations; in others the problems causing high costs are best addressed by other strategies. 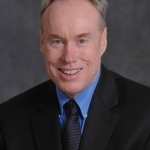 Contracting is a viable option for many transit systems, but it is certainly not a panacea. 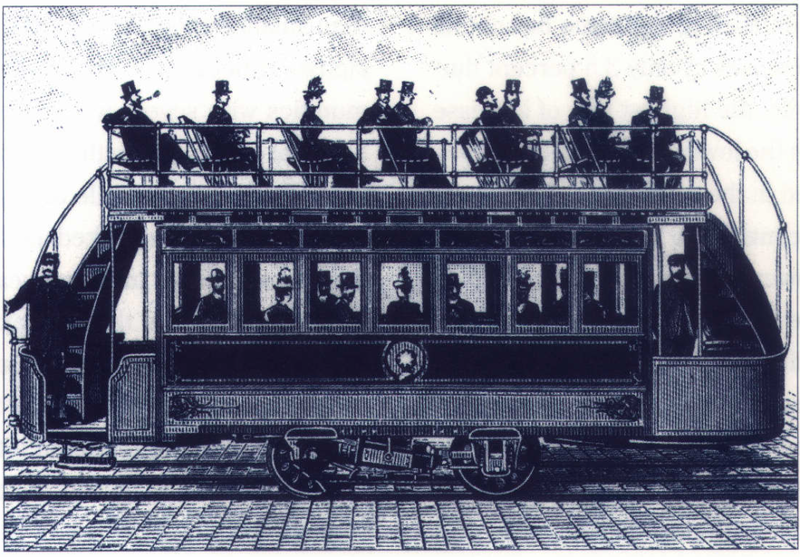 Bladikas, A. K., et al., “Privatization of Public Transit Services,” /TE Journal, vol. 62, no. 9, pp. 29-33, September 1992. 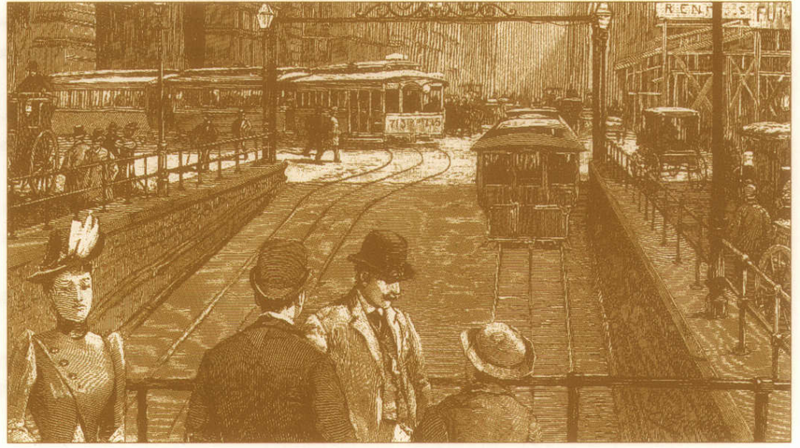 Goldstein, H. A. and M. I. Luger, “The Determinants of the Decision to Contract Out Public Transit Services,” in G. M. Guess, Public Policy and Transit System Management (New York: Greenwood Press, 1990). Gomez-Ibanez, J. A. and J . R. Meyer, Going Private: The International Experience with Transport Privatization (Washington, DC: The Brookings Institution, 1993). McCullough, W . S., B.D. 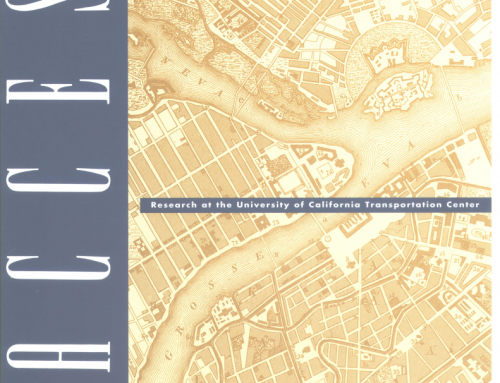 Taylor, and M. Wachs, “Transit Service Contracting and Cost Efficiency,” to be presented at the 1998 Annual Meeting of the Transportation Research Board. Peskin, R., S. Mundie, and P. K . Varma, ” Transit Privatization in Denver: Experience in the Second Year,” Transportation Research Record, vol. 1402, pp. 17-24, 1992. Sclar, E. D., “Public Service Privatization: Ideology or Economics?” Dissent, summer 1994. Teal, R. F., “Public Transit Service Contracting: A Status Report,” Transportation Quarterly, vol. 42, no. 2, pp. 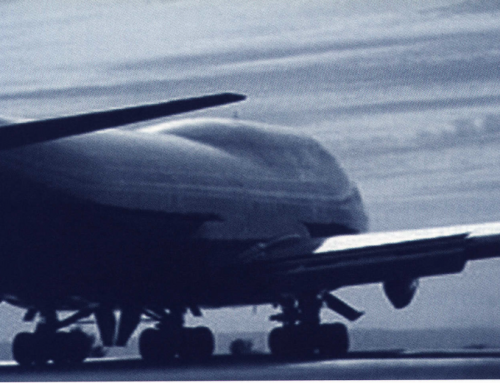 207-222, April 1988.